The Colorado Backcountry Discovery Route is a scenic ride across the state of Colorado, beginning in Four Corners and finishing at the Wyoming Border. 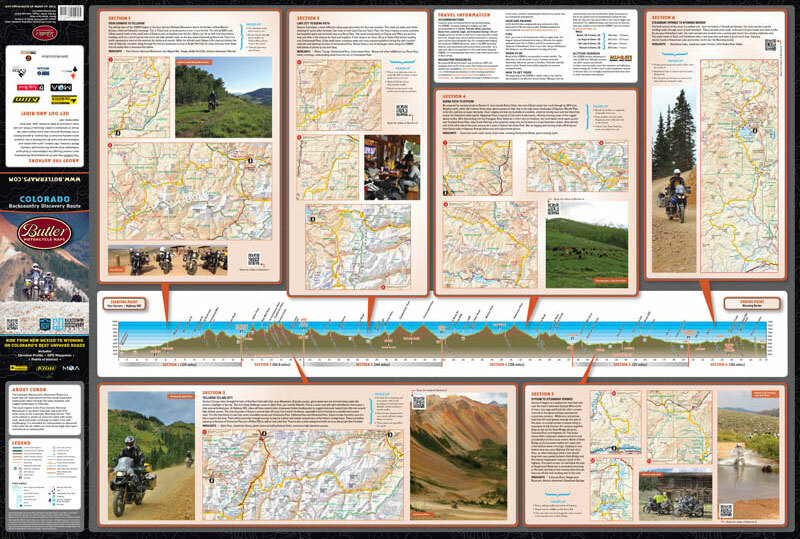 The route has been created specifically for dual-sport and adventure motorcyclists who are interested in exploring Colorado’s majestic high-mountain ranges and historic mining country. This 675-mile south-to-north route utilizes many remote and high-elevation dirt roads and leads riders through a number of iconic locations including Telluride, San Juan Mountains, Continental Divide, Collegiate Range, Northern Rocky Mountains and historic Leadville, along the Colorado River.